Barbados is one of the few places in this world that often maintains 80-degree weather year-round. Now that “winter months” are behind us, the temperatures are only going to rise. Barbados can expect to see the temperatures reach near the 90’s this summer, and without air conditioning technology, the upcoming sweltering heat can make being at home or work miserable and dreadful. There are a handful of different ways to cool a home that people could try. Some people may try rotating fans, a window air conditioning unit, or keeping all the windows in the house open in an attempt to cool their home. While these options can be effective at times, they do not compare to central air conditioning. In one of our recent blogs, we reviewed inverter air conditioners and their benefits. However, today we are going to focus on central air conditioning. Central air conditioning is one system that handles the cooling and distribution of air throughout an entire house. The cooling process is controlled by a single pump and cool air is transported to every room through a system of supply ducts and vents. In addition, warm is carried back to the central air handler by return vents and ducts. Where are central air conditioning units most common? There are many climates in which residential and commercial properties could benefit from central air conditioning. These type of AC units are most commonly found in residential or commercial buildings that are located in hot, humid climates, such as Barbados. Central air is very beneficial for large businesses, too. The hot weather can quickly cause buildings to rapidly heat up and central AC will help maintain a cool and comfortable temperature inside. In climates like this, window air conditioners will not be efficient at keeping an entire home at a comfortable temperature, while central air does. Most central air conditioning units are split systems, meaning that there is an outdoor air conditioning unit and an indoor coil. To put it in the simplest of terms, an air conditioning system works to cool and dehumidify air before circulating throughout a building through the ducts and vents system. Incorporating two different coils — the evaporator coil and the condenser coil — a central air conditioning system can retain cool air while eliminating the warm air. Cool air is created as refrigerant is pumped through the evaporator coil, which helps cool the air as it is blown through by a fan. The evaporator coil also helps absorb heat from indoor air, passing it to the outdoor unit through the condenser coils, which is where the heat is released into the outdoor air. At this point of the cycle, the refrigerant is cooled and the cycle repeats itself. In a climate like Barbados, where the summer temperatures are around 90 degrees Fahrenheit and humidity levels are over 60 percent, many homes and businesses can benefit from central air conditioner installation. Let’s take a look at some of the main benefits of these units. Some make the mistake of believing that a few single-room air conditioners placed throughout the house is just as efficient as, and cheaper than, a central AC system. However, this idea is not true. The issue with room air conditioners is that they don’t filter the air as effectively as a central unit would. Rather than only preventing dust from circulating through the unit and into a single room of a home, central air also traps and filters dust and particles from every room in a home. This system helps prevent particles, allergens, and pollutants from circulating and spreading throughout a home, enhancing its overall air quality. With a better air quality, allergens are reduced and the overall comfort of a home is increased! Window air conditioners are not only not as efficient, they can spike monthly utility bills too. Many window models do not have temperature sensors, which will keep them constantly running until they are manually turned off. Single-room conditioners may be cheaper than central units, but running them in multiple rooms certainly is not. When compared to single-room and window units, central air is the most efficient air conditioning unit and will save you the most money. 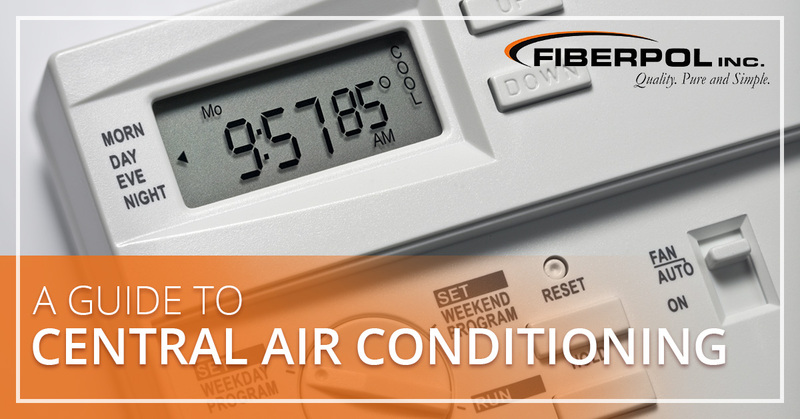 Individual AC units need to be manually adjusted to control the output. Some units don’t even have temperature control. Many central air conditioning units give users more control of the indoor temperature. With a control panel, users can efficiently adjust temperature and fan settings, and set programmable thermostats that can automatically change the temperature of a home, day or night. This improves electricity usage as well as comfortability. Unlike individual units, central air conditioning units disperse cool and purified air throughout an entire building. Instead of the temperature of different rooms varying, central air conditioning maintains a consistent temperature throughout each room. For home larger than 900 square feet, central air conditioner installation is a wise choice. Indoor air conditioning units are bulky, take up space, and have no cohesion with the interior of a home. Window units also stick out and can block your view of the outdoors. Central air conditioning units, on the other hand, are often located outside in the back or on the side of a home. Since they are out of the way, they don’t really have an effect on the aesthetic appeal of a home or business. Window AC units are not only an eyesore and inefficient, they are also very loud and bothersome. Because the noisy parts — the compressor and condenser fan — of a central unit are located outside, they are much quieter than most individual units. Many individual units likely don’t have a warranty that is valid for more than a year. Generally, the warranties tied to central air conditioning units last several months. These units may be more costly to install than individual ones, but they come with the best investment protection. Individual AC units can often cause frustration, whether due to inefficiency or increased energy bills. These units often cause frustration because they are not always user-friendly. Central air conditioning units are simple to use and many models can be adjusted with the simple touch of a button. With programmable settings users can assure their air conditioner runs only when needed, which can save a lot of energy and money. 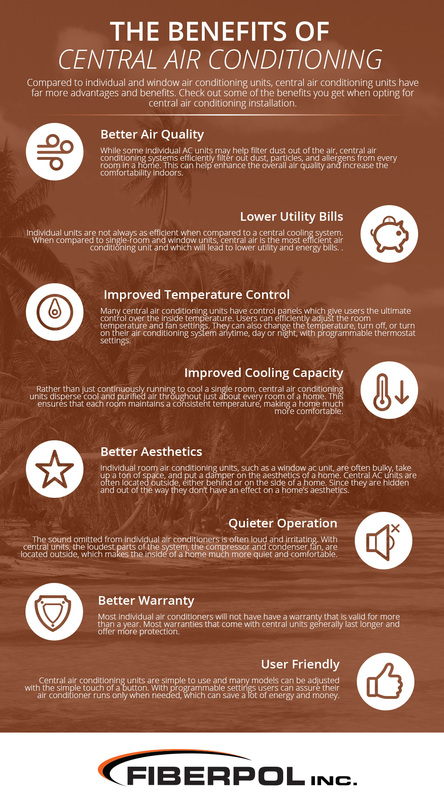 As you can see, there are plenty of reasons to consider central air conditioning, especially on an island such as Barbados! 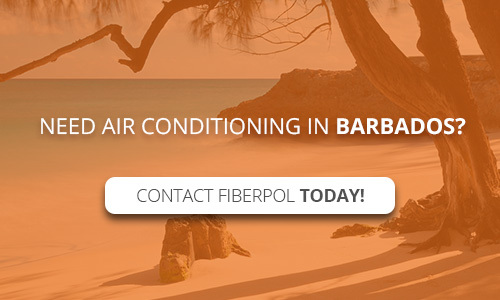 If you want to experience the benefits of central air conditioning in Barbados, you can rely on FIberpol for quality, efficient, and affordable air conditioning units. We carry Streamline Air Conditioners which will help you stay cool and comfortable year-round. Our central units are sleek, operate quietly, and come with a protective 18-month warranty. If you don’t think that a central air conditioning system is right for you, consider inverter air conditioning for your home. Coolness and comfortability this summer starts with quality air conditioner, and a quality air conditioner starts at Fiberpol! Contact our air conditioning specialists today and ask about our Streamline Air Conditioners.